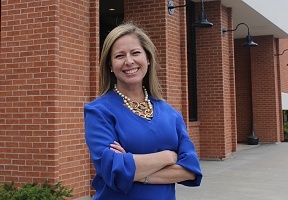 Storytelling is the cornerstone of bridging communities together and is top priority for newly appointed Window to the World Communications, Inc., WWCI Chief Executive Officer Sandra Cordova Micek. “This is an exciting time for WTTW and WFMT and I am incredibly honored to be taking on the president and CEO role for WWCI,” said Micek. “It is a privilege to be a part of an organization committed to creating and presenting innovative, quality content. I hope to leverage my experience in business strategy, cross-platform media and audience building to successfully lead the organization. This role uniquely taps into my passions for the arts and humanities, life-long learning and public affairs. I look forward to working with the talented team to engage diverse audiences and communities in Chicago and beyond.” Cordova, whose parents are immigrants from Ecuador, was born in New York and gained a wild amount of perspectives living in various cities working for Yahoo, NBC Universal, and USA Today. We place a spotlight on Cordova during our Hispanic Heritage Month series as she is the first Latina woman to be named CEO of WTTW as she shares her insights into the importance of journalism, curiosity, and Hispanic contributions. I like to think I have a broad perspective and a global perspective because I lived in many different cities. I was born in New York and I lived there and I also lived in Philadelphia, London, San Francisco, Washington D.C., and Chicago. I’ve lived in some great cities, great food cities, great culture cities, but also cities with diverse populations. So I like to think that I not only come with a global perspective, but of diversity and inclusion. That’s very important to me. I would like to make sure that this organization continues to reflect the diversity in Chicago that is a priority for me as I take on this role and that includes the perspective of women in Chicago, but overall I think I bring a mix of perspectives. I have a real passion for journalism. I appreciate what journalists do every single day in telling stories. For me, I put the First Amendment at the top of the list. Journalists are there to do their job and to tell stories that need to be told. I feel proud to be part of an organization like Chicago Tonight, for example, that tells the stories that need to be told in more depth than others can do on a nightly basis in an unbiased way. I am a strong advocate for journalism, period. I always tell people that part of being successful is being curious. I feel like what I always had was this sense of curiosity. I went to Syracuse University thinking I was going to be a journalist and halfway along the way I got interested in the business side of media. I felt that curiosity and interest in journalism has been a good anchor for me, but I wasn’t afraid to try other things. One of the lessons that someone shared with me as I was starting my career was don’t be afraid to ask someone to have a cup of coffee, someone you don’t even know. I’ve always taken that to heart. You have to be curious about the people, their jobs, what they do in order to really have a meaningful conversation. I tell young people coming out of school to be curious. I have asked that question. ‘What are we doing?’ ‘What are we showing?’ ‘What programming?’ on the news side. It’s about sharing programming that is really valuable and worth doing. It’s about highlighting role models who are making a difference in their community. For me, it’s about making sure we shine a light in that period of time on the contributions that are being made by the Hispanic community in a variety of different ways and we are doing that through our programming.